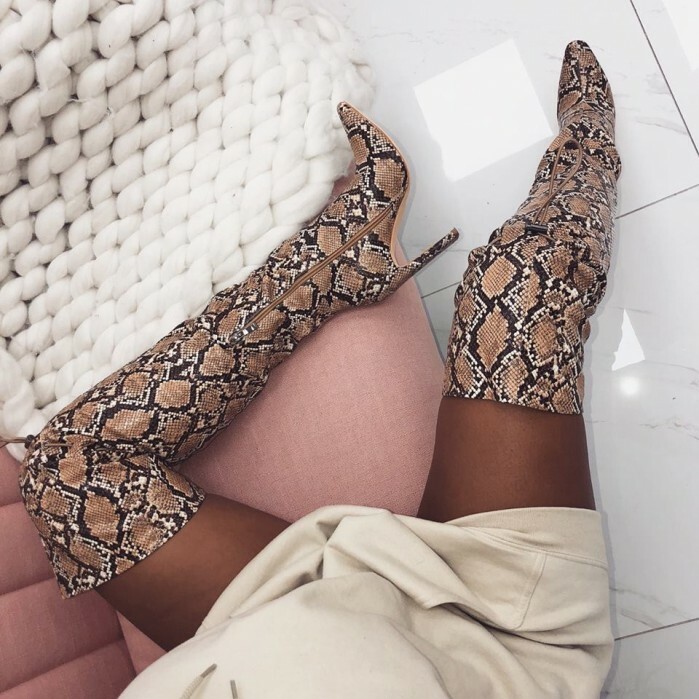 we’re obsessed with these thigh high boots in the HQ. featuring toggle thigh detailing and a slim block heel. we love them worn with an off the shoulder shirt dress.